If you are a student in years 10 - 12 in a State school with an interest in conservation and the environment, the Student Challenge is for you! Check out our new community site for Student Challengers past, present, and potential. Our student expeditions support the work of scientists in conserving our environment, while providing students an insight into the world of field science. 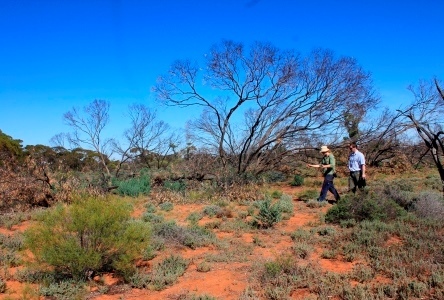 Students live and work in the field with leading researchers to help solve some of Australia’s most pressing environmental issues. It is an adventurous, life changing experience. Whether it leads to a career in science or the environment, personal development, or is simply a time to connect with nature the benefits are all encompassing. The experiential "learning through doing" model helps students appreciate and respect the world they live in, respond to challenges, and build confidence and social skills. No prior experience is necessary. Students must be in years 10 - 12 and enrolled in any state school in Australia to apply for a fully-funded position. The program is designed to provide encouragement, advice, and support for students who are at this pivotal point in their future decision-making. Students have the unique opportunity to seek direct careers advice from professional scientists and explore their interest to help guide them into making choices that are both passion and career focused. Passion starts early. Dare to take a chance.